ROCK CREEK — There are just days like that. Pretty much everyone, or every team, has to go through them. 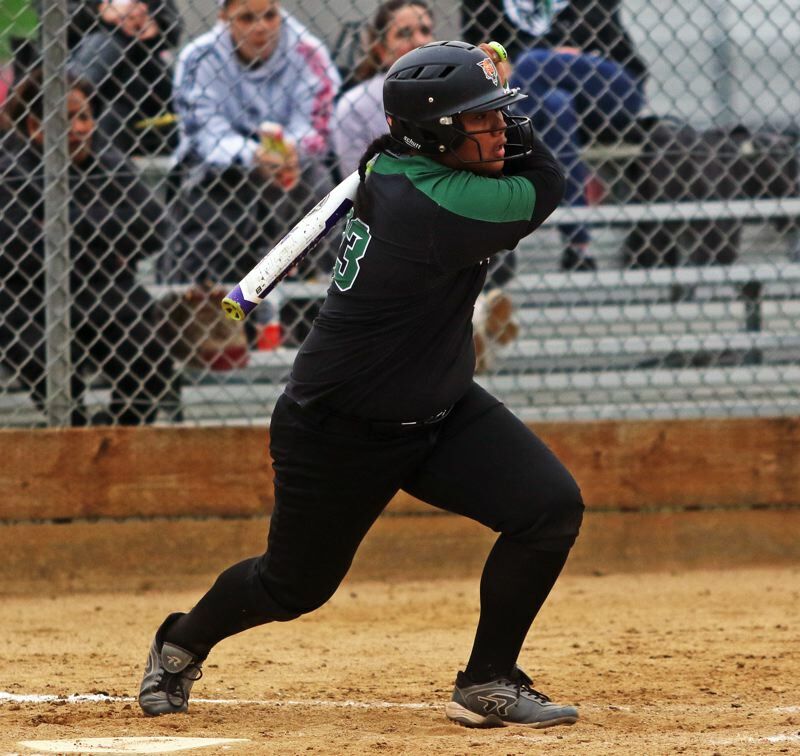 The Tigard High School softball team had to suffer through one of those days on Monday. And the Tigers are looking to learn from it and get better. 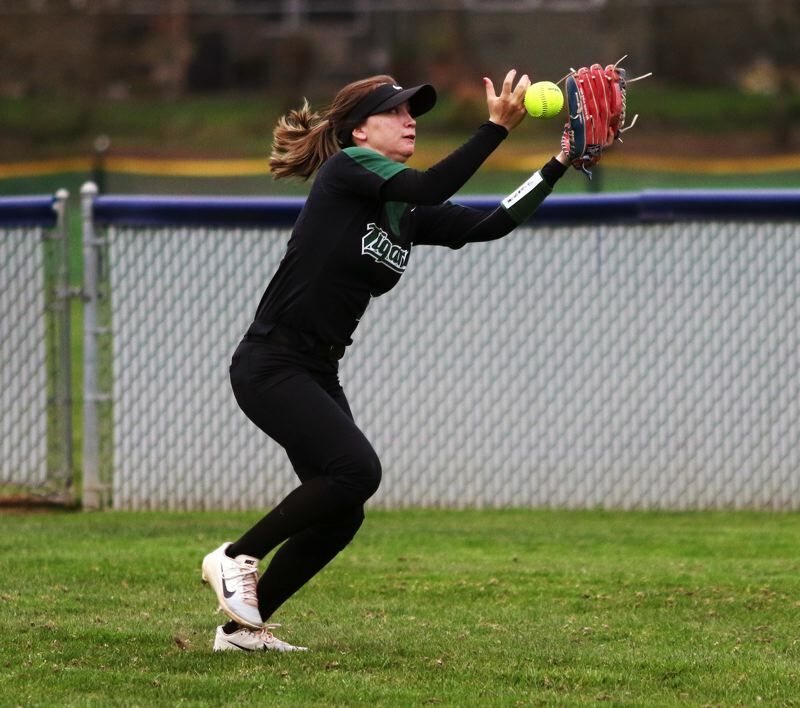 Tigard, committing five errors and watching other close plays go the other way, on both offense and defense, fell 11-1 to a hard-hitting Westview squad in a non-league game played at Westview High School. 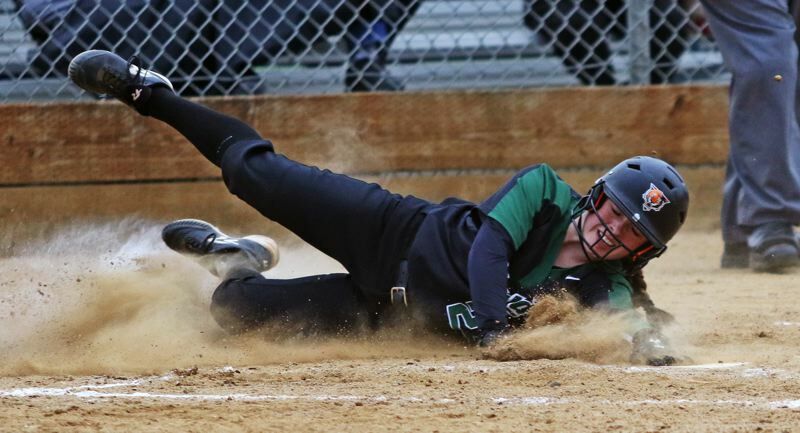 "It wasn't the best," said Tigard junior catcher Emily Paulson, who scored the Tigers' run. "I think we got off to a slow start. We were tired, partly because we didn't have school today. But I think we can improve from this and grow." With the win, Westview improved to 7-3 on the season. Tigard moved to 7-3 with the setback. And, the Tigers are also looking to benefit from the loss. "It will make us better," Paulson said. "We need to be more mentally tough and make better adjustments at the plate." The Wildcats struck early in Monday's game, scoring four runs in the bottom of the first inning. Junior Neveah Bergner had the big hit of the frame with a two-run single. Westview, taking advantage of a pair of Tigard errors, scored five more runs in the bottom of the second inning. Freshman Isabel Carattini doubled in two runs in the frame and Bergner had an RBI double. Tigard got its first hit of the contest in the top of the third inning, coming on a two-out single by freshman Sera Reilly. The Tigers then got going in the top of the fourth. Paulson got things going, drawing a one-out walk on a 3-2 pitch. One out later, freshman Kani Korok ripped a single to center field, with Paulson moving to second base on the hit. Freshman Makenna Reid followed with a single to left field, driving in Paulson to make the score 9-1. 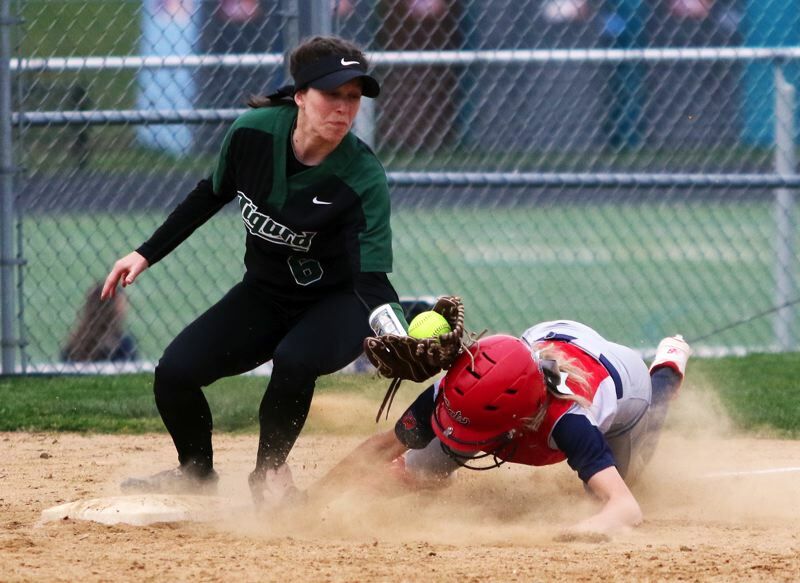 Tigard had a chance for even more in the inning, as freshman Kaylin Kisor was hit by a pitch, loading the bases with two outs, but Westview was able to get out of the jam. The Wildcats, taking advantage of three more Tiger errors, scored a pair of unearned runs in the bottom of the fourth inning, helping the home team wrap up the five-inning victory. "It was important to come back and battle hard," Paulson said. "After they scored, we got down and didn't have as much energy, but we got it going again in the fourth inning, when we got some hits and some baserunners on. But we need to do that at the start of every game." Tigard had three hits in the contest, singles by Korok, Reid and Reilly. Reid, pitching two innings in relief, gave up two unearned runs on one hit, while striking out three and walking one. For Westview, sophomore left-hander Julia Jordan picked up the pitching win, giving up one run on three hits, while striking out seven and walking one in five innings of work. Carattini went 2 for 3 at the plate with a double and three RBIs for the Wildcats. Bergner went 2 for 3 with a double, a run scored and two RBIs. Senior Taylor Alto went 2 for 3 with two runs scored an an RBI. Tigard now has three more non-league games before jumping into Three Rivers League action. "We're looking to clean up in the infield and outfield, and just have better approaches at the plate," Paulson said. "We're also looking to have more confidence and more energy in the dugout." The Tigers will be back in action on Wednesday, when they host Sunset in a non-league game starting at 5 p.m. Tigard will also be home Friday to face West Salem at 5 p.m.